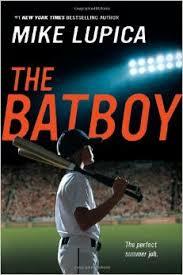 It sounds like every baseball kid’s dream job to be batboy for their favorite baseball team. Brian Dudley is fourteen and lives in Detroit. His dad, Cole Dudley, used to play in the MLB and was one of the best pitchers, and when Brian was about nine years old, his dad retired from baseball. Brian thought it would be great because he would get to spend the time with his dad. He had never spent any with him because his dad started playing in the MLB before Brian was even born. But then the unexpected happens. One year later, his dad leaves Brian and his mom to coach baseball in Japan. Brian was in school when his dad left, and when he got home, he found this note on his desk, “B-I’m sorry. I’m no good at being your father. I’m no good at anything besides baseball. Dad”. His mom is a news broadcaster in Detroit, and is not surprised Brian’s dad left because his mom knew Brian’s dad was more in love with baseball then he was with her. “For most of our marriage,” Brian’s mom said to him once, “I looked at baseball as the other woman.” “You know what I really felt when he finally left?”, Brian’s mom said to him once, “Relieved. Because I didn’t have to compete with baseball anymore.” So now it was just the two of them, Brian and his mom. If you like books with a little bit of a plot twist, this is a really interesting story for you. Brian’s favorite baseball team is the Detroit Tigers, and he just got his favorite position of all time, batboy. Brian is so happy because usually, you have to be sixteen to be batboy for a major league team. Mr. Schenkel, the manager of the Detroit Tigers, loved Brian’s application so much, he sent it to the commissioner of baseball and he said “We need more batboys like this.” Brian does not get to go on any away games though because MLB rules state that you cannot let the job of batboy interfere with school. Some of the jobs as batboy include shinning shoes, laying out trays of gum and sunflower seeds, and washing the players uniforms. After the Tigers leave on a road trip, they sign back Hank Bishop, a player who took steroids and got suspended from baseball the year before. After the road trip is over, Hank comes back with the Tigers to Detroit. Before the beginning of the Tigers vs. Red Sox game at Comerica Stadium, where the Tigers play in Detroit, Brian introduces himself to Hank, but Hank is rude and not the player he used to be. Hank was Brian’s favorite player and Brian is determined to make Hank play like before. I think that it is a crazy idea that Brian is trying to change Hank. Can Brian achieve his goal of making Hank the nice guy that he was? And with his dad gone and no one to talk to about baseball, this is going to be the hardest summer of his life. If you like books such as Million Dollar Throw, The Heat, and Travel Team, this will be a good book for you.